Pelikan M101N Lizard with medium nib. This pen is a special edition that I think doesn’t get enough attention. It has two tortoise brethren, which are also quite nice. But this is the one for me. I mean, lizard! And a sleek black. And a few sparkly bits in the binde. It’s a gorgeous design, a modern updating of the 101N brown lizard models from the 1930s. Look at the beautiful curves of the clip, and the Pelikan Germany engraving on the cap top — those and other details quote the original 101N. The original models were all quite small, compared to most modern pens, and the M101N Lizard is as well. That’s the only thing that I would mention as a caution, though the pen can be used posted. 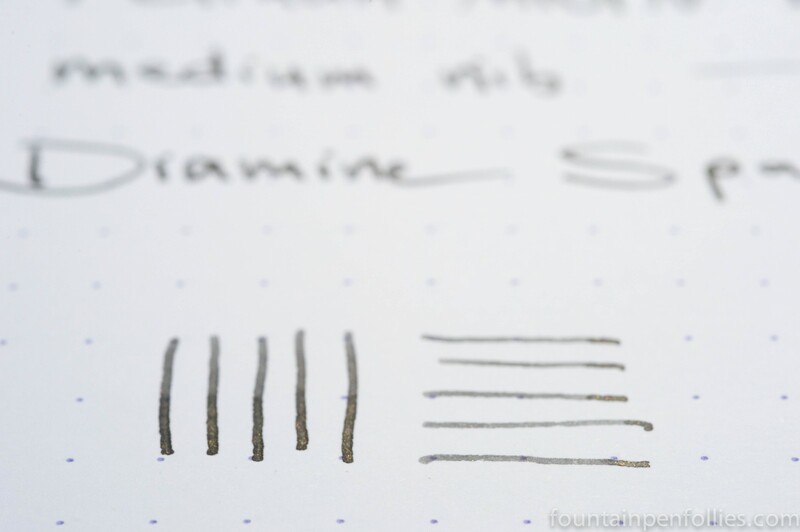 The nib is wonderful and has a bit of softness, unlike most modern Pelikan nibs. 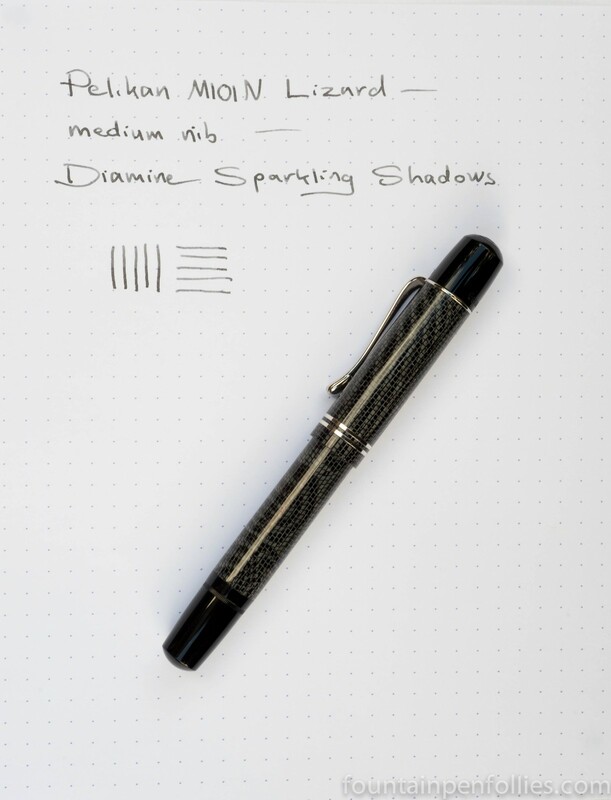 The ink is Diamine Shimmering Shadows. As my friend said, I’m sort of cheating with this Pen of the Day: I used it last week and have kept it inked. But can you blame me? Fantastic pen, fantastic ink. Plus, ooh, shiny. I love this combination of pen and ink! A stunner! I like the other two special editions in this trio too. What an excellent combination of pen and ink!